This year, my boyfriend and I decided to visit the Detroit area of the United States for our spring break. The reason we went there was because his best friend recently relocated back to his hometown after many years of living in Southern California. My boyfriend had been there in 2011 so he knew a little about the city, however I knew hardly anything. I did some research and made a list of things I wanted to do there as a basis for our trip. We wanted to see a few historical sites and some sports games. We arrived to the area of Macomb which is about 45 minutes outside the city center. When we got there, it was snowing and there was lots of snow on the ground. 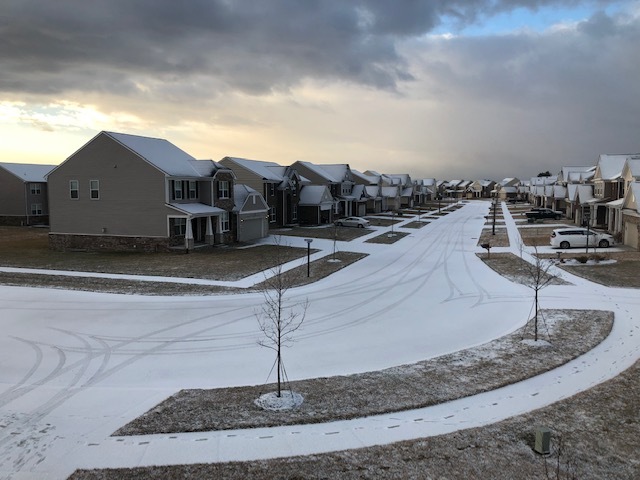 I talked to my coworkers and a few friends about Detroit and most of them said it was going to be really cold and really ugly. I felt kind of sad that so many people have a negative view of this part of the country. 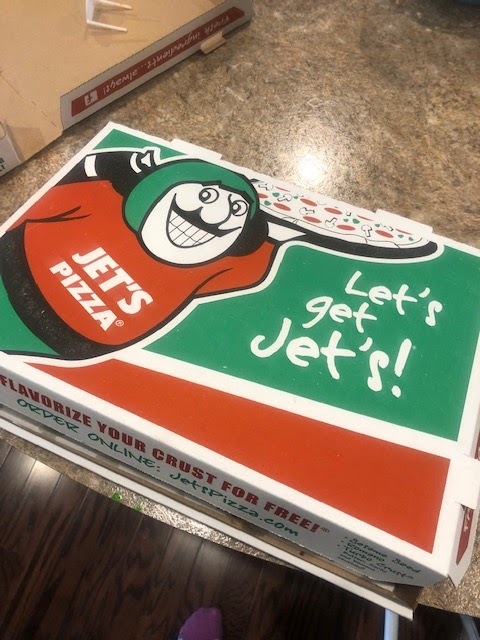 But honestly, all I really knew about the city was the few things my boyfriend told me such as that Little Ceasars pizza is from there and it’s a huge hockey town. I knew about Eight Mile Road through Eminem, the rapper but that was pretty much it. Now I will tell you that my first impression of Detroit when I arrived was not that great because I saw a ton of abandoned buildings in downtown, but what I didn’t know was that Detroit is not just downtown, there are several suburbs around Detroit that are gorgeous and safe. We spent a week in Detroit and most of the time we were in the Macomb area as that is the suburbs where our friends live. You will definitely need a car to tour that area as it is quite spread out. I ordered a visitors guide of Detroit before going but honestly I didn’t really need it since we had two great friends who knew exactly what to show us. 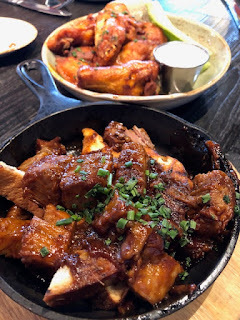 I would say that this trip was definitely a foodie trip as we got to try several different restaurants that are native to the Detroit area. One tip I will give you is that if you don’t like cold weather, try to plan your trip between April and September as that is the best time to go, well if you don’t mind the humid hot summer. I’m the type of person that prefers hot over cold, so going to Detroit in mid-March was quite chilly for my standards. When we arrived, there was still some now falling here and there throughout the week, mainly when we arrived but the weather got nicer later in the week. I packed gloves, a beanie, and leggings to wear underneath my jeans and that was sufficient. Also thick socks helped to keep my feet warm under my Ugg style boots that I wore all week. After a few days, I kind of got used to it but I did crave a lot of soups and hot beverages I’m guessing because of the weather. It was between the late 20s and mid 40s in Fahrenheit while we were there. We celebrated the first day of spring in the middle of the week with a little bit of random tiny icicles falling from the sky. I’m a huge sports fanatic, so I wanted to attend a few sporting events in Detroit while we were there. 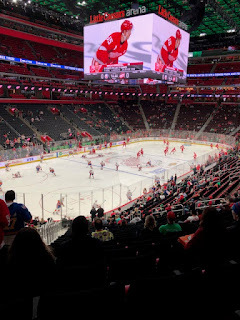 We were able to go to a hockey game that Saturday we arrived and it was my first hockey game ever! Wow it was so much fun! And they gave out free green Hockeytown t-shirts since it was St. Patrick’s day weekend. I had a slice of Little Ceasars pizza at the arena which was reasonably priced at about $6. It was delicious and deep dish style which I’m not used to in California. I soon learned that the Detroit Red Wings, the town’s hockey team is a big deal for the town. The next day we saw the Detroit Pistons play, the NBA basketball team. They won just like the hockey team did so it made it extra fun. We bought our tickets online for both sporting events and we spent about $50 a ticket for each game. Parking is another story, it’s pretty pricey to park downtown near the arena, it cost us $40 each day. 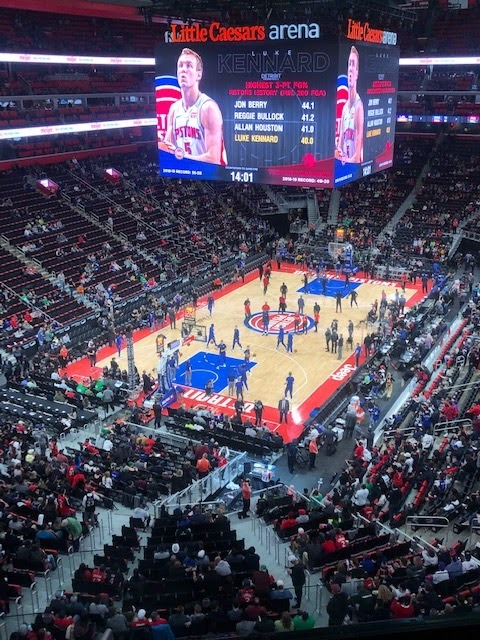 The other two teams we would love to watch in the future in their own sporting venues are the Detroit Lions football team and the Detroit Tigers baseball team, both not in season right now. It’s a silly story how I found out about this place. You see, I’m very active on Twitter (@acupofbely) and I follow a few Detroit blogs such as (@goodlifedetroit) which allows me to see a ton of Detroit news. 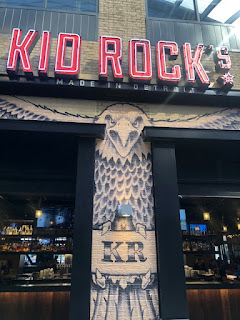 I saw that there was a lawsuit in Kid Rocks restaurant and it sparked my interest on finding out more about the restaurant. With my research, I found out Kid Rock was from Detroit and had a restaurant in downtown somewhere. 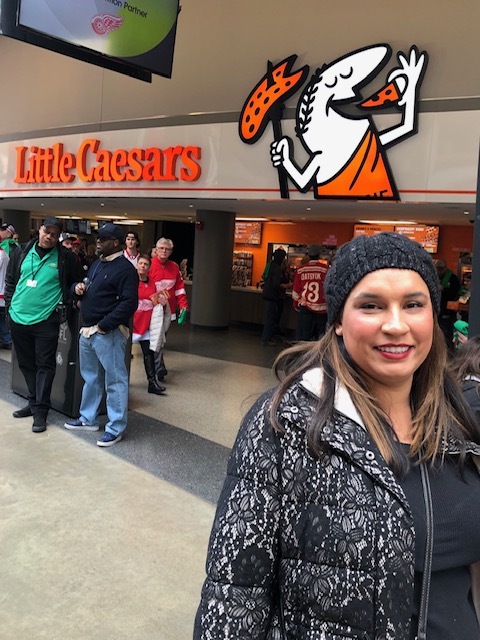 My boyfriend let me know it was inside Little Caesar’s arena so you have to attend an event at the venue to eat there. 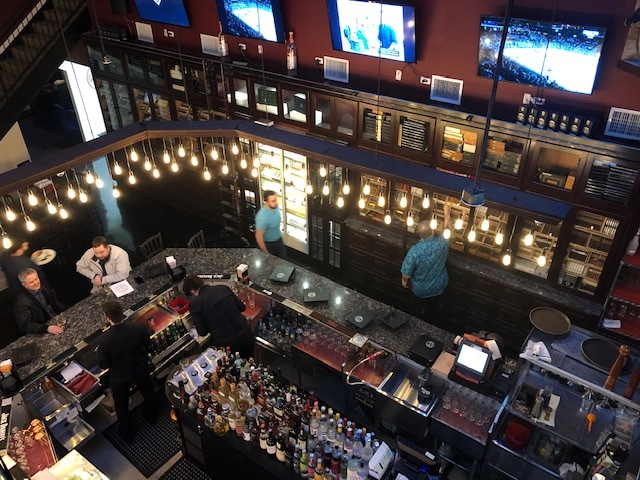 We found out the day before at the hockey game that we should arrive to the restaurant as soon as the arena opened because the place fills up fast. The next day we made sure we arrived to the basketball game right when doors opened, and we quickly walked to the restaurant and only waited in line for about ten minutes. My biggest tip is to get there early as soon as doors open so you won’t wait long to eat. For example, our basketball game started at 4pm and arena doors opened at 2:30pm. We got there at exactly 2:30 and walked over to the restaurant. The menu is mainly American dishes such as burgers and wings with a southern flavor. Also the items have a Detroit name to some of them. For example, I ordered the Mexicantown chicken tacos. Mexicantown is an area of Detroit where you find Mexican establishments. My tacos were delicious, but definitely not the Mexican taco taste of Southern California. It sort of had this mild barbecue taste with the sauce they used. You definitely have to try them as it’s something different! 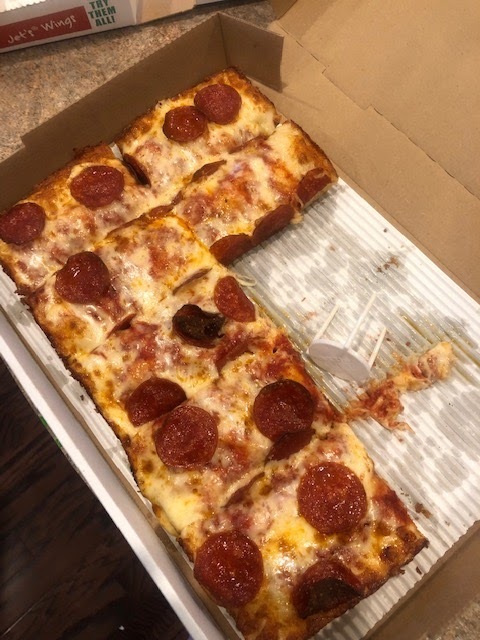 You have to try this pizza if you visit Detroit! I can’t describe it except that it’s very soft dough in the middle but crunchy at the edges so you get the best of both worlds! We had it twice in one week because it just leaves you wanting more! I don’t think pizza will ever be the same unless maybe I go to Italy. I just know I will miss this pizza place. I cannot stress the amount of cute clothes you can find at Detroit area thrift stores. 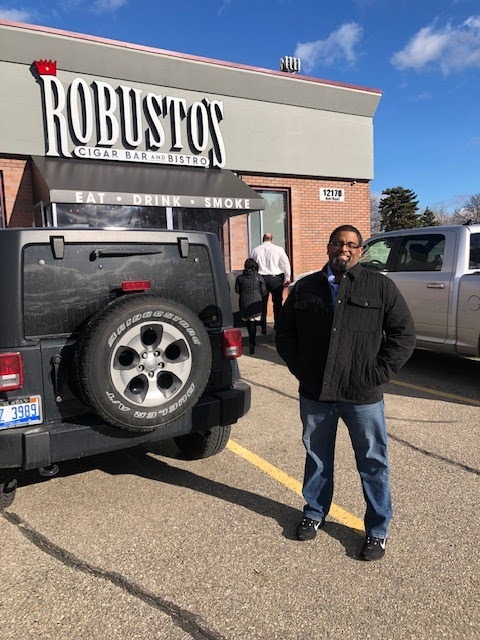 We were in the affluent area of Macomb and we drove around the area and found three Salvation Army thrift stores we liked. One particular store had books for 10 cents and I found a handful of good ones. There's also sales throughout the week that vary daily so it's worth visiting multiple times a week. One day they discount furniture, another day they have senior discounts, then there's colors of the day. It's amazing. At one of the stores I found a very cute LL Bean light blue jacket that is perfect for Detroit's cold weather. I got the jacket for $12.50 as all winter jackets and long sleeve shirts were 50% off that day. What I liked about shopping thrift stores is that the fashion varies from that of southern California and it makes it more fun. You may even be able to find Detroit gear for super cheap to take back home as souvenirs. I always like to find ways to score a bargain and I definitely did on this trip. I even heard from my friend that in Chicago they have a three story Salvation Army. WOW. It's nice to shop with other thrifters who get so excited when they find a good deal. Tubby's is a sandwich shop that was started in 1968 in St. Claire Shores, Michigan. (a Detroit community). I immediately fell in love with the turkey and cheese sandwich. I ordered a small size which ran about $5. My favorite part was the turkey meat. It was so thick, almost like Thanksgiving size slices. It wasn't the thin processed meat you would buy at the deli. This sandwich shop also has great customer service. I am now a fan of Tubby's and hope to go back one day for another amazing sub sandwich. My boyfriend and his best friend love to have a cigar whenever they get the time to get together which is not often these days as we live thousands of miles away. 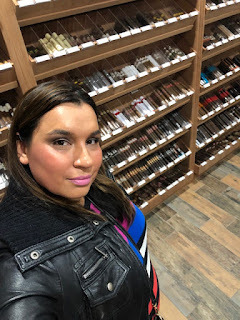 In California, we would visit a cigar shop in Santa Ana but the biggest difference we found was that the two cigar shops we found in Macomb were super fancy bistros. 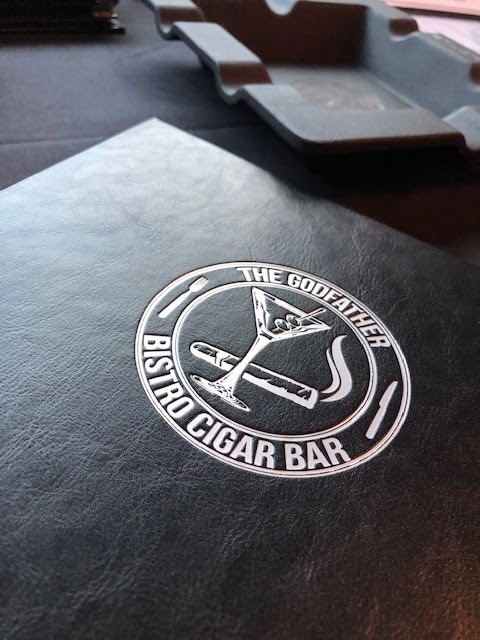 In other words, the way it works is that you come in and get a table, order your food and drinks, and while your food is being prepared, you go check out the selection of cigars and pick one to smoke after you've had your dinner. 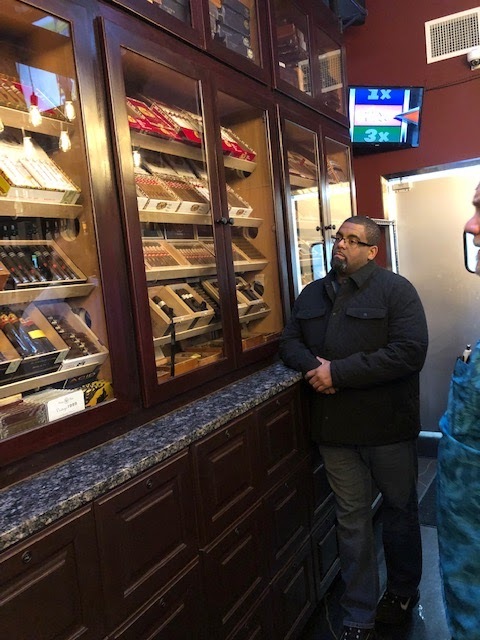 I was amazed that this is even possible as they are so strict about cigars and food in Cali. I have yet to find a similar type of establishment in Cali. We went to The Godfather Bistro Cigar Bar on Saturday night and then went to Robustos the next weekend, both in Macomb area. It was date night so it was fun to share our men's passion for cigars and we got to dress up too for a fun night out. It was two nights of catching up and eating good food and smoking a cigar. 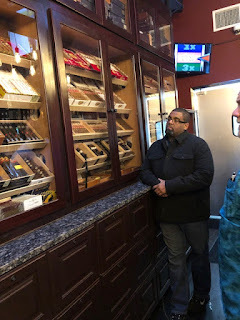 The guys picked the fancier stronger full size cigars while the women picked the smaller size just to get the taste of it. 7. Vince and Joes gourmet market, especially the gelato! I feel like this place is comparable to a Whole Foods in California but with way more cool sections. My boyfriend especially liked the beef section where there was a ton of red meat cuts displayed. There was also a cheese section where you can purchase fresh cheese from all over the world. My favorite part was the bakery and gelato section. They have the best Nutella gelato and chocolate eclairs and canolis in the bakery section. 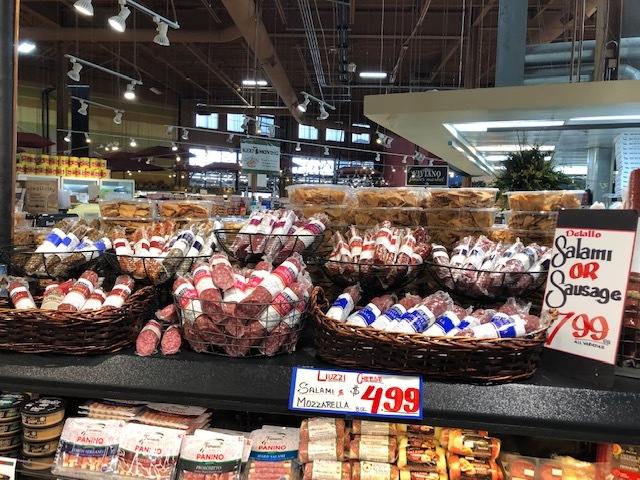 One thing you'll notice is that Italian food is everywhere in Detroit because of the Italian presence that is part of the city's history. Let's not start a rant on how expensive everything in California is, but we can at least start with the gas prices. In Detroit, gas price is about $1 cheaper than southern California. When we left Cali, the gas price was about $3.50 a gallon and in Detroit it is $2.50 a gallon as of March 2019. This place is known for burgers and fries, but if you're in the mood for soup they have a few selections here. It certainly hits the spot on a very cold day. Their chili soup which had beans and ground beef was delicious and that's coming from someone who is picky with chili soups. Move over Starbucks, this café has the most delicious breakfast treats such as donuts, strawberry cheesecake muffins, chocolate chip muffins and breakfast wraps and sandwiches to name a few. Let's not forget to mention their amazing dark roast coffee. I literally went in there for one of the muffins I mentioned and a medium dark roast coffee. You can buy a box of dark roast Tim Hortons coffee at local grocery stores or online as well as the store itself. I swear, there's one of these cafes on every corner of Macomb. Starbucks, not so much. It's an interesting story too how this place started. It's actually from Canada and was started by Candian hockey player, Tim Horton in 1964. Definitely a must for your morning coffee run. And don't forget the pastry! 4. Annual Detroit International Auto Show which will be in June instead of January now. Hooray! I will recommend that you rent a car and try to stay at least a week. There is so much to do here and not only in Detroit but outside of the city. You can find day trips to local cities such as the German town, Frankenmuth. You can also visit some of the local college towns where the world known University of Michigan or Michigan State teams play. One thing you'll know is that Michigan is a sports state. Hope you can visit one day and get to experience the kinder side of Michigan.